What happens when the Easter Bunny meets the Luck of the Irish and St. Patrick’s Day? The answer is over $55,000 in magical prizes during the luckiest Month of the Year! March has two of the most special events in St. Patrick’s Day and Easter, and Bingo Palace is combining both for a $55,000 Pot of Gold at the end of the rainbow! And with so many different ways to win, everyone is sure to get a piece of the pot or find a hidden treat. 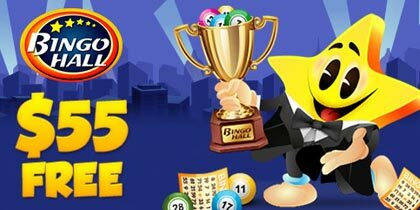 Bingo Palace starts with leprechaun-approved winning where you can earn entry to a $5,000 Free Roll on St. Patrick’s Day. Note this is absolutely 100% free and $5,000 in Cash must go! They are also celebrating the magic and fun of Easter all March starting on the 1st. See all the different ways to win below and be on the lookout for the crazy Easter Bunny who will visit the online bingo rooms at random times every Wednesday and Thursday (March 18th-31st only) with crazy happy hours, plus cash and bonus giveaways! 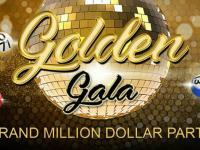 Two colorful events – one gigantic $55,000 prize pool. Collect Shamrock games every day in the Quarter Room and win these lucky prizes on St. Patrick’s Day (Sunday, March 17th). Win 1 Shamrock game and make one $50 deposit – you’ll get a free pass to the $5,000 Free Roll in the St. Patrick’s Day Room! Each Shamrock game you win earns a raffle ticket for the $1,000 bonus prize given away in the St. Patrick’s Day Room! 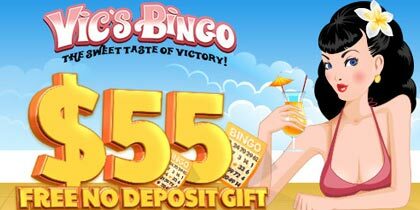 Bingo Palace is sending a ‘luck email’ each week to 250 players with a lucky $7 bonus gift inside. If you receive it, just contact Customer Support and get $7 BBs automatically. If you make a deposit in the following 24 hours, you can claim a lucky 250% bonus! The egg-citing loyalty lottery continues! 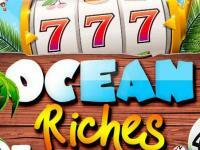 Players earn a lottery ticket for every $25 deposited. Then every Wednesday, 15 winners will take home $25 BBs. 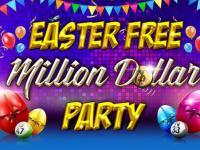 Collect 4 Eggs and 1 Basket in the Quarter Room and claim a lucky $50 bonus prize. Super VIP’s (Earl/Countess Crown, Duke/Duchess Crown, Prince/Princess Crown and Royal/King & Queen Crown) get a super lucky $100 bonus! Collect one Egg and make $50 in deposits during the month and get access to the cutest room ever: The Magic Bunny Room (on Easter)! Enter this unforgettable room by simply collecting one “Egg” Pattern and making $50 in deposits before March 30th. 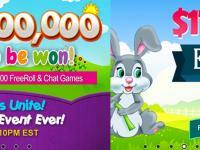 Win a Rabbit game in the Magic Bunny Room and pick a number from 1-75. 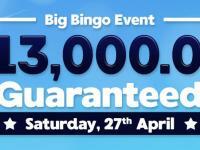 There will then be $5,000 in cash and bonus raffled away and 25 winners will win their share of the Pot. Who says kids are the only ones who should get great prizes on Easter?